The main characteristic feature that is a signature statement of Wayanad is the scenic beauty and topography. Located in the heart of the Western Ghat Mountains and abounding with greenery, the place is paradise for anyone who wants to experience the great outdoors. 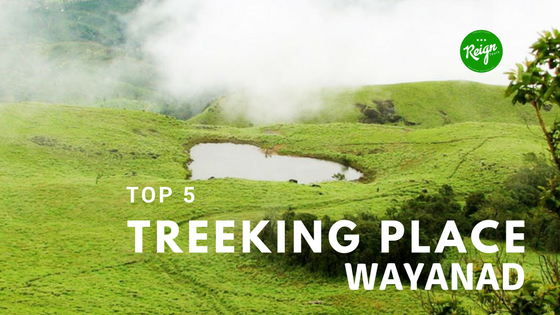 If there is one place that a trekker will love to spend time in, it would be in the wilderness of Wayanad, where one will be spoiled for choice in terms of trekking routes as well as breathtaking views of nature. Being predominantly a natural landscape, with very little human activity for the most part, Wayanad happens to be almost entirely a trekking route in its own right. In a way, one can say that almost all Wayanad outside of the main urban centers is a trekking trail, since the district simply abounds in nature almost everywhere. Regardless, there are certain places that are truly amazing and captivating when it comes to having amazing treks; challenging paths, breathtaking locations, an abundance of nature, wildlife, waterfalls, rivers and every imaginable combination of these typical adventure factors. This would probably be one of the most famous of all the trekking locations in the district of Wayanad as well as the state of Kerala. Located in a hilly region and surrounded by greenery and natural beauty on all sides, the place has become very popular in recent times by people who want to explore the Ghat section in all its glory. Chembra peak happens to be the tallest peak of Wayanad and one of the tallest in Kerala as well as all of India. Located at an approximate height of around 2,100 meters above sea level, the peak is an excellent place for one to go about on an adventure and explore everything possible in the natural world. Along the trekking route, one can find an abundance of forests, grasslands, rivers, streams and several different waterfalls. The entire trek will take anywhere from a few hours to the entire day, depending on one’s pace. The best time to go trekking here would be between the months of September and February. One will need to get the permit of the forest department in advance, since the entire place comes under its jurisdiction. Getting the permit however, is not going to be that problematic in any way and is fairly easy to attain. Getting to Chembra peak is not very difficult. The place is quite very well connected to other places in the region. Both private as well as public transport is available in the region, due to the place being an important and popular trekking spot in all of Wayanad. 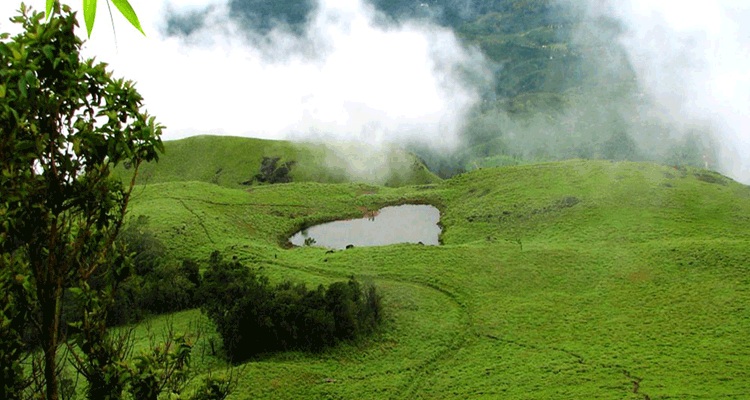 A great location for a trek would be Banasura Hills. Located in a fairly isolated and remote location of Wayanad, Banasura hills is an excellent trekking location frequented by trekkers. The main route of the trek starts near the Banasura Dam, which by the way are the largest earth dam by far in the entire country and the second largest in all of Asia. From the starting point, the trek is quite challenging and difficult, as a result of a lot of different steep slopes, rocks and other such obstacles. 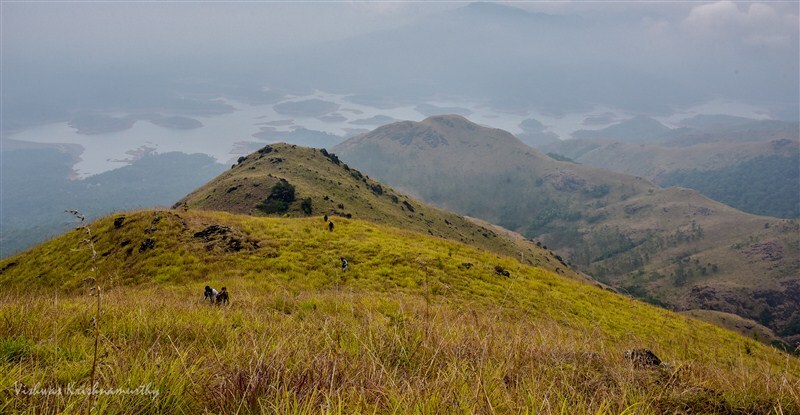 In fact, it is one of the more difficult trekking routes in all of Wayanad. Situated at a high altitude that is approximately around 6,800 feet above sea level, the region makes for an excellent trekking adventure for all who want something a bit more adventurous than other locations. The treks here will take approximately about a day. Trekking here is best done between the months of October and May. Reaching this location doesn’t require any real effort, thanks to the connectivity that it has with other surrounding areas in the district. Located about 1,700 meters above sea level is Pakshipathalam, an excellent trekking route that is very close to the famous Thirunelli Temple. The trekking route is an amazing place for one to explore nature in all its glory and happens to be a place where one can go about Birdwatching. A trek across this region will take one over a variety of beautiful terrains, ranging from grasslands and hills to dense jungles. In addition to this, there are also a lot different caves in the region worth exploring. Trekking here will range from a couple of hours to about a day. The best time to explore this amazing trekking location would be between the months of November and April. Located on the top of a hill named Ambukutty, the Edukkal caves happen to be a popular trekking location in Wayanad that is frequented by tourists from all over the place. Surrounded by scenic natural beauty with an abundance of lush vegetation on all sides, this is one of the most amazing of all treks that one could have in Wayanad. The Edukkal caves themselves happen to be a set of two caves, both of which were created as a result of natural factors over the course of several long eons. What makes the trek here different from other locations is the nature of the whole adventure, with a focus on what is lying beneath the surface as opposed to what is lying above it. In these caves, there are several different paintings that date back to several thousand years ago. 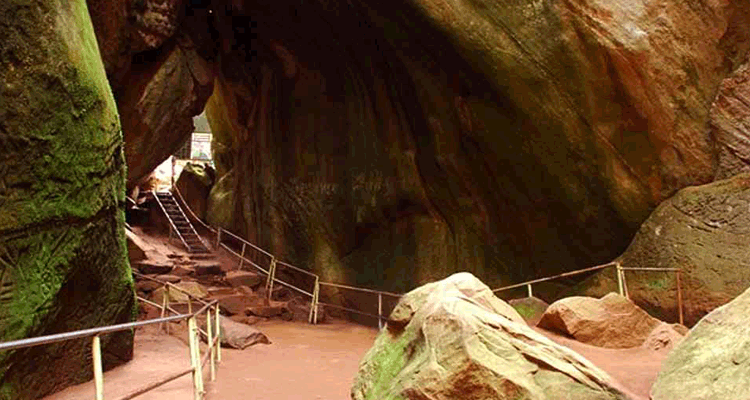 The place has several tour guides of the Archaeological Society of India, who will be able to help trekkers as well as tourists navigate through the caves as well as explain the history of it, including that of the various cave paintings. It is important to note that the trip to the Edukkal caves is rather difficult and will require people to have some amount of physical endurance, as the route is very challenging in a lot of locations. Entrance to the caves is charged by the local management authority, with adults being charged Rs 20 and children Rs 10. The caves can be visited throughout the year and there is no restriction. However, it is good advice to avoid summer months, as it can get very hot due to the tropical nature of this location. Reaching Edukkal Caves is not very difficult. The place is very well connected to other places in Wayanad as well as Kerala and beyond. 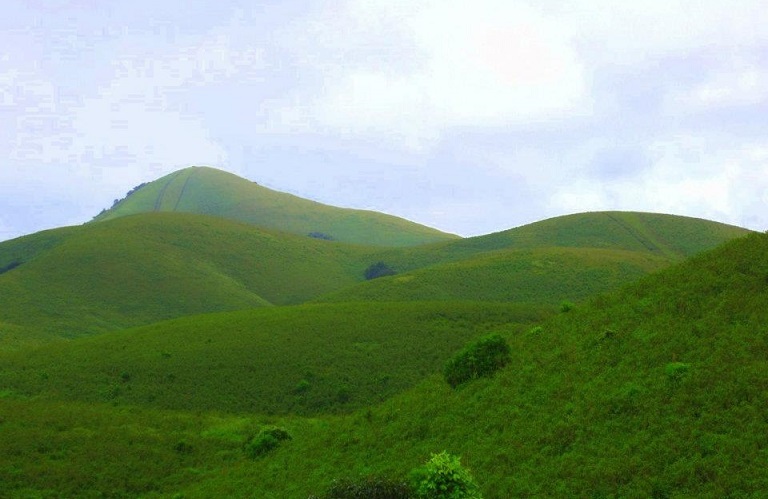 Last but not the least would be the Brahmagiri Peak, located in a very remote and scenic location of Wayanad. This is a very important trekking location in all of Kerala and is incidentally one of the tallest of all peaks, with only the Chembra Peak being taller in comparison. Surrounded on all sides is an abundance of greenery, hills and vast stretches of the Western Ghat Mountains which have not been touched by human activity. Large stretches of the land are largely open forests and grasslands, with little or no thick forests in the major trails used for trekking. Also characteristic of the place are the slopes, which are generally a lot more navigable than many of the other trekking spots in Wayanad, which have a steep terrain. The only real steepness is at the trail’s edge, when one is about to reach the main summit of the peak. This is where the trek can become challenging, should one not be physically capable of handling it. Another thing that one will notice is a fairly less amount of rocky areas that need climbing, making any trek here a lot more easier than other locations that are abundant in terms of any boulders or cliffs. They do exist but one can certainly find trekking trails in this location where there aren’t that many, if one wishes merely to trek and avoid any and all rock climbing activities. The trek is fairly manageable for anyone generally fit, with the trek itself being no longer than a day or two at most. The best time to come here is between the months of November and February. These places have everything that one can expect when heading off on a trekking expedition.